As the criminal investigation into a Florida nursing facility where eight residents died in the aftermath of Hurricane Irma continues, some of the focus has shifted to its owner. 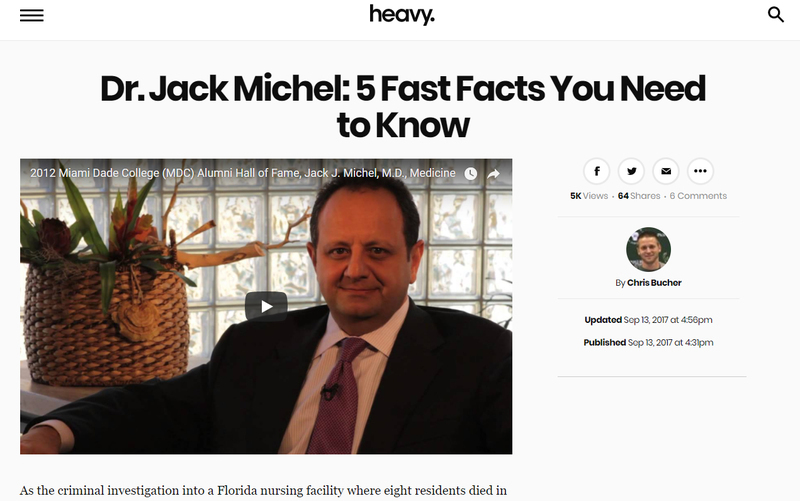 Dr. Jack Michel, the listed owner of the Rehabilitation Center at Hollywood Hills, has a history of fraud dating back to 1997. Michel, a licensed doctor, is in question for his facility’s reluctance to evacuate the 100-plus residents at the nursing home despite a lack of air conditioning as the temperatures approached 100 degrees.